If you’re a dedicated listener of our podcast, sooner or later, you run out of episodes. Waiting for the newest release can be agonizing! So, to help alleviate your suffering and create a way for you to show your support, we’ve created RPPR B-Sides. Every volume of B-Sides contains 10 or more Actual Play episodes and other never-heard-before content. Donate $20 to listen to each volume when it is released or wait until its public release. These episodes will NEVER be posted on the RPPR Actual Play podcast. They will be released as a single bulk download once they are made public. B-Sides episodes will not interrupt the regular flow of new AP episodes. 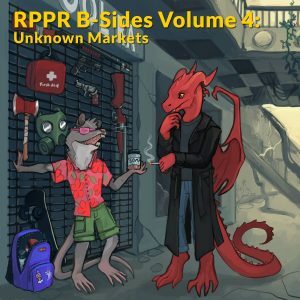 This volume of B-Sides actual play episodes focuses on Red Markets and Unknown Armies. We have two incomplete campaigns and multiple one shots as well. Unknown Armies: The West Bottoms is set in Kansas City and focuses on a small cabal as it tries to separate a neighborhood from reality by drawing mystical boundaries around it. Red Markets: Deception Pass is a two GM campaign set just outside Seattle. Multiple taker groups work as the government tries to reclaim an enclave. We also have some games of 13th Age, Delta Green, Red Markets beta playtests, and Genlab Alpha. By purchasing this volume, you help support RPPR and keep us running. Thank you for your support! This will become a pay what you want product in June 2019. 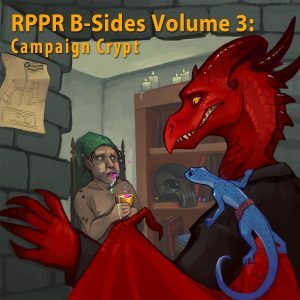 Our third volume of RPPR B-Sides includes several (attempted) campaigns, including a 7 session Pathfinder campaign run by Tom! It also features a Fiasco game guest starring Thad, a game of the indie storytelling game Our Best Last Hope, and several Gen Con games. Purchasing this B-Sides volume helps support Role Playing Public Radio. It contains 20 episodes. On May 15, 2017, it will become a Pay What You Want purchase. Not every game we record at Role Playing Public Radio makes the podcast, but that doesn’t mean you can’t enjoy them. This volume features playtests for new games and scenarios, including Killsplosion, Call of Cthulhu scenarios, and our experiments with games like Fiasco, Dogs In The Vineyard and Fate Accelerated. We also have con games from Gen Con and Fear The Con. You get 24 never-heard before episodes altogether! Click here to download Volume 2 and help support this podcast. This volume was released on December 16, 2015 for pay what you want. 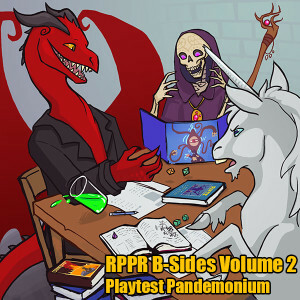 Description: The inaugural volume of RPPR B-Sides contains 20 Actual Play episodes from Gencon, Dragoncon, and a few home games. Classic scenarios like Delta Green: Night Floors or Sucrose Park vary tremendously depending on who plays in the game, not to mention how the dice roll. The home games include 5 Call of Cthulhu scenarios, one a a modern era investigation of a sunken city (featuring Cody!) and the other a Western pitting US cavalry against cultists of Yig, not to mention playtest games of homebrew scenarios and more. There’s also a playtest of a chapter from Road Trip and our first ever recorded game of Teenage Mutant Ninja Turtles and Other Strangeness! Volume 1 is publicly available. When is this a pay-as-you-want purchase? Oops! Made that switch. Thanks for the reminder.